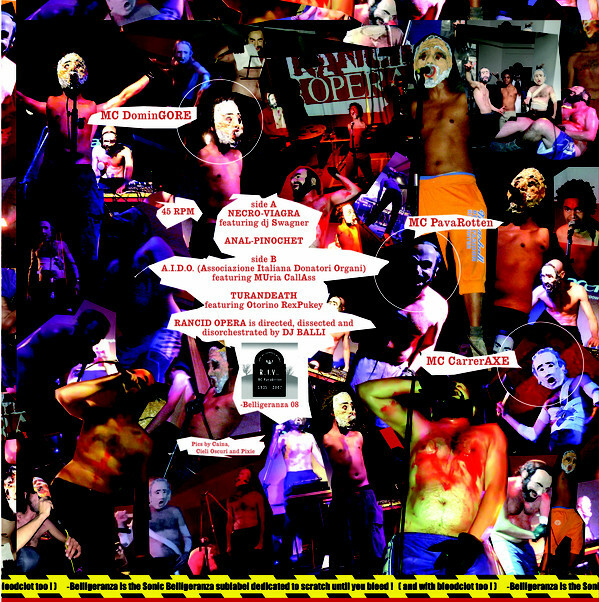 sonic belligeranza from bologne is back with some opera and rap or lets say a rap opera. something inbetween. 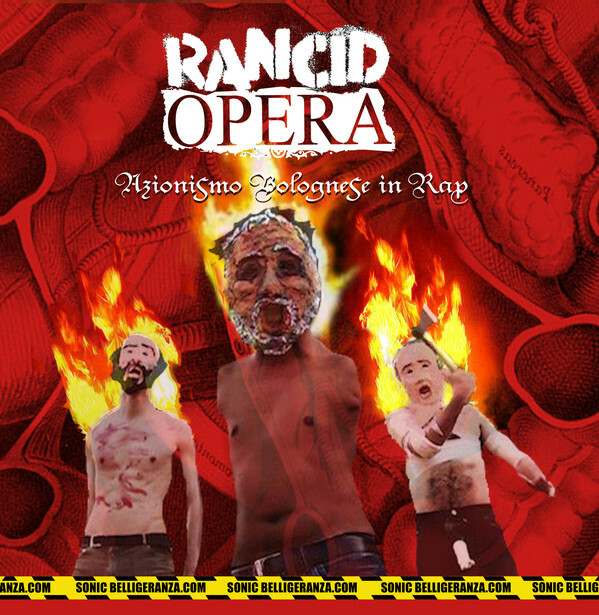 anyway rancid opera is a horrorcore act hailing from bologna (italy) blending death-rap, opera music and italian gore movies.directed by dj Balli, featuring MC PavaRotten, MC DominGORE and MC CarrerAXE. we got some nice funky hiphop beats here with italian opera scratches and staps. the raps are fluid and tough, like end 80ies new york style. but in italian. 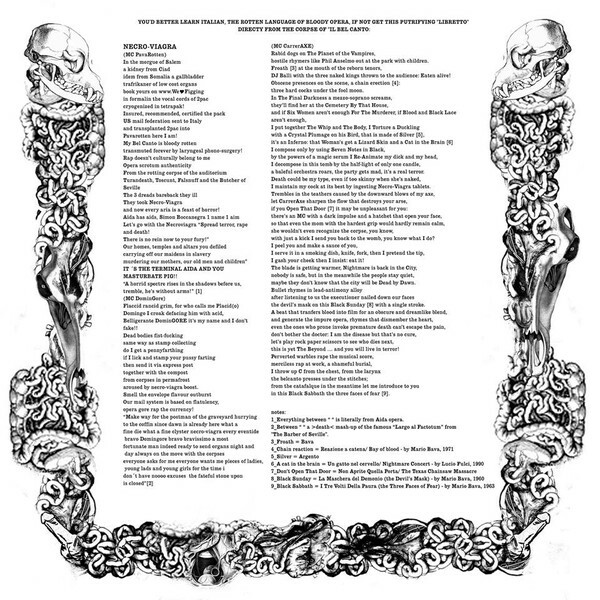 for those of you who don't speak italian there is a translated lyrics sheet within the full color printed sleave. limited 300 copies release on 45 rpm.